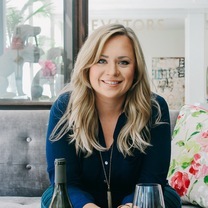 Brittanny Anderson is the James Beard nominated chef of Metzger Bar and Butchery and Brenner Pass. 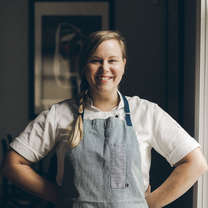 After five years cooking in New York, she returned to her hometown of Richmond, VA and opened Metzger in 2014, where she cooks modern German and Alpine cuisine influenced by the local produce of Virginia. We're Live in Richmond, VA! A critical mass of cool industry people making cool things. "Woah! @coreygb for the best time!" "#avl got that good ice 💕"
"Squab breast and cornmeal fried leg, cornbread and foie gras sauce, blackberry, tarragon and corn 📸 @leogong"
"Almond granita & dacquoise, cherries in grappa, lime pannacotta, vin cotto"
"Blueberry mousse & caramel, Jivara namelaka, sorrel sponge, sunflower seed brittle"
"Cocktails with the gals. brennerpassrva"
"Rabbit and Foie Gras En Croute with Morels"
"Asparagus poached in its juice, Lardo, Paddlefish Caviar, Chive Blossom, Creme Fraiche"